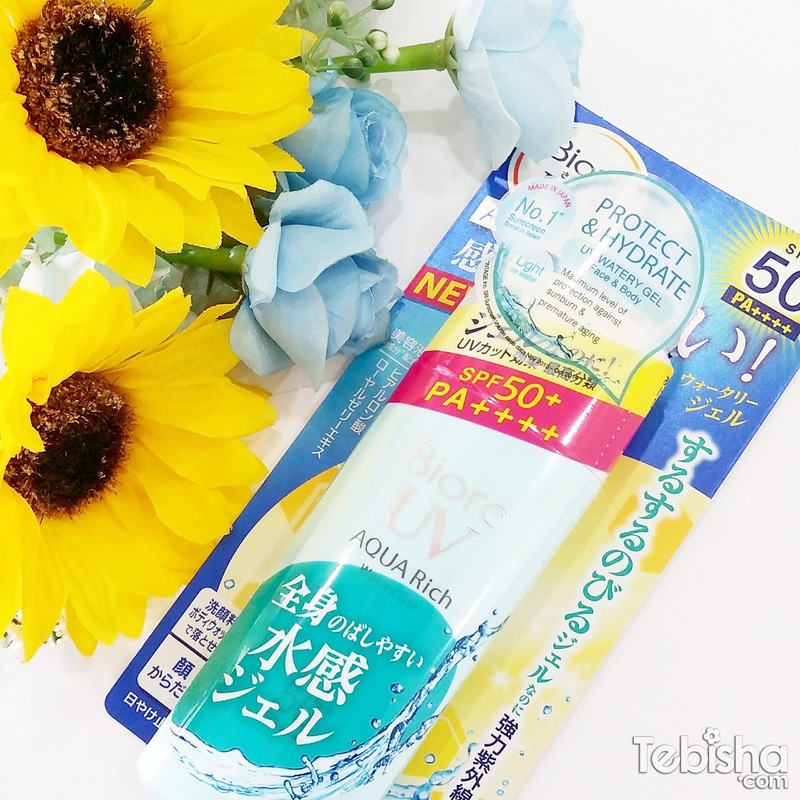 Although Singapore is all-round Summer season, UV Sunscreen is still a necessity to protect our skin against harmful UVA and UVB rays from the sun! Bioré has launched its newest addition to their sunscreen range, the Bioré UV Aqua Rich Watery Gel, which provides the highest level of UV protection from head to toe! Thanks to Bioré’s unique Aqua Rich technology, it comes in the same light and watery texture of Bioré’s popular UV Aqua Rich Watery Essence, loved by women for its cool and refreshing feel upon application. permanent effects such as premature skin ageing, wrinkles & freckles, as well as, various skin damages like discolouration, sallowness, dryness. In extreme cases, they can also lead to skin cancer. The most damaging UV rays can be classified into diferent wavelengths, known as UVA and UVB. UVA rays penetrate into the deeper layers of our skin as compared to UVB rays, and are also the dominant tanning ray. The penetrative ability of UVA rays through glass means that even when you’re seeking shelter indoors, your skin continues to be exposed to its harmful efects which can cause cumulative damage such as wrinkling and skin ageing. On the other hand, UVB rays cause the most damage to the outer layer of skin such as reddening of skin and sunburns. Without proper protection, prolonged exposure to UVB rays can cause long-term damage to skin’s epidermal layers. This is where the light, watery texture of Bioré’s Aqua Rich Watery Gel stands out! Similar to the Aqua Rich Watery Essence, it is formulated with Bioré’s unique Aqua Rich technology to give it a light and watery texture when applied onto skin. 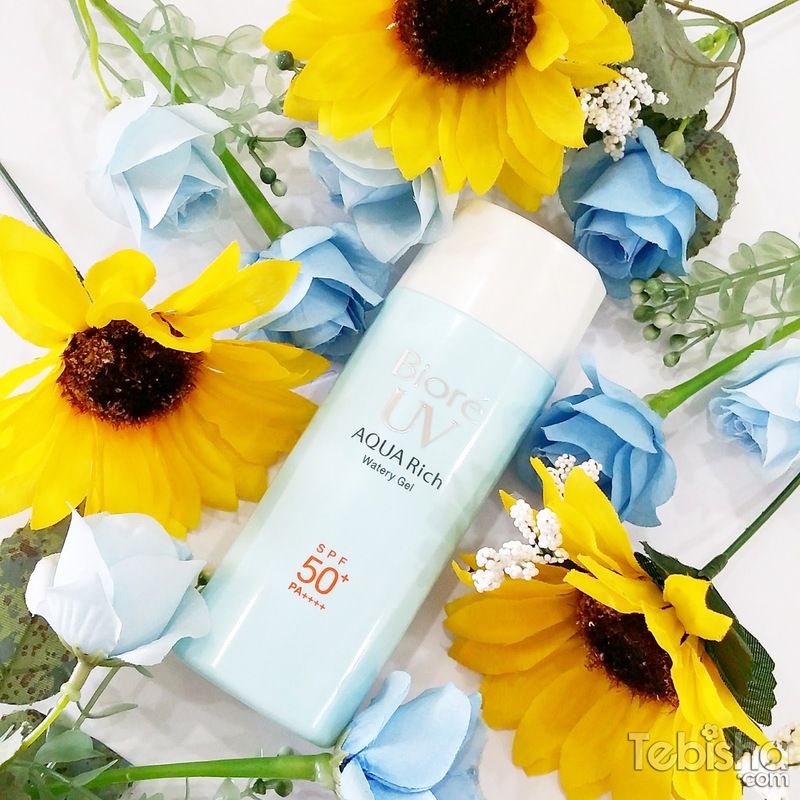 The Aqua Rich Watery Gel contains the breakthrough Aqua Micro Capsule a water capsule which breaks upon application on skin to release the UV protection agent while giving skin a cool and refreshed feeling. Unlike most sunscreens that have a higher SPF value which tends to compromise on the product texture, Bioré’s Aqua Rich Watery series retains its lightweight feel and at the same time provide maximum UV protection. The Aqua Rich Watery Gel is also infused with hyaluronic acid and citrus extract to keep skin hydrated and healthy. Reviews: Lightweight and non-greasy, perfect to use on body while you having outdoor activities! It will gives a refreshing and cooling effect after application. It’s my best companion when I go swimming! beauty stores and selected minimarts.